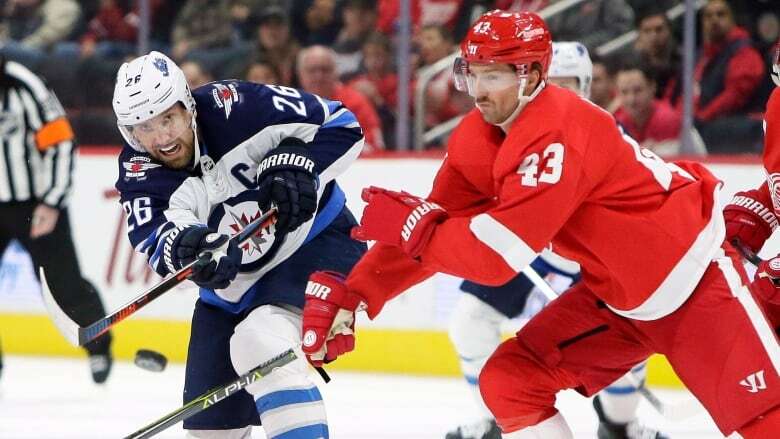 Defenceman Dustin Byfuglien got his 500th career point when he snapped a tie with 6:45 left, and the Winnipeg Jets beat the Detroit Red Wings 2-1 on Friday night. Dustin Byfuglien said everything he wanted to say during another win for Winnipeg. The veteran defenceman got his 500th career point when he snapped a tie with 6:45 left, helping the Jets beat the Detroit Red Wings 2-1 on Friday night. Red Wings defenceman Mike Green made his season debut after recovering from a virus that attacked his liver.